SYDNEY DANCE CLASS: 10 Week DANCEHALL Classes with Sarine Perdedjian | SOUL OF SYDNEY FEEL-GOOD FUNK SOUL DISCO vibes & beyond. We are truthfully we are so blown away by the amount of talented people around us, there seems to be so much incredible artistic people in and around our extended Soul of Sydney family. 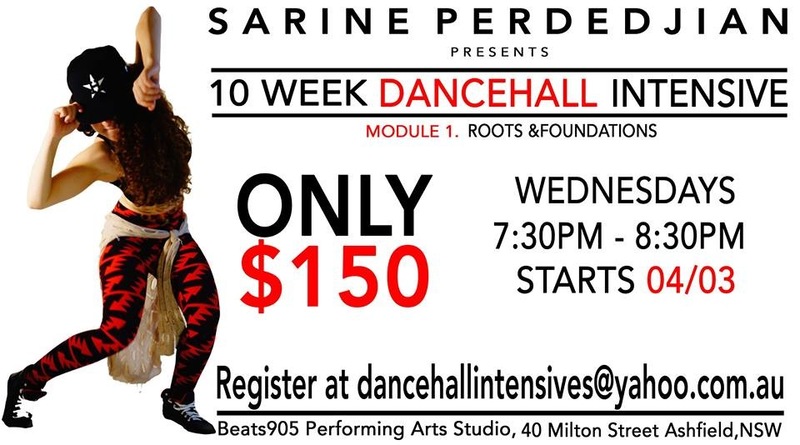 Soul of Sydney’s own dancehall queen and crowd favorite SARINE will be sharing some of her incredible skills with a new series of 10 week intensive DANCEHALL classes kicking off very soon at Beats 905 Studio in Ashfield. Many of you would know her from partying at Soul of Sydney, she has been getting down grooving and sharing her amazing dance talents with us for years. Check out her amazing entry for 2015 Australian Dancehall Queen contest that happened a few weeks back for some seriously fire. This entry was posted in dancehall, Reggae, sarine, sydney dance classes, sydney dancehall, SYDNEY HIP HOP, sydney reggae and tagged dancehall. Bookmark the permalink. ← Sydney House Dance Classes with Rod kicking off 2015 House Dance, Hustle Workshop this weekend.